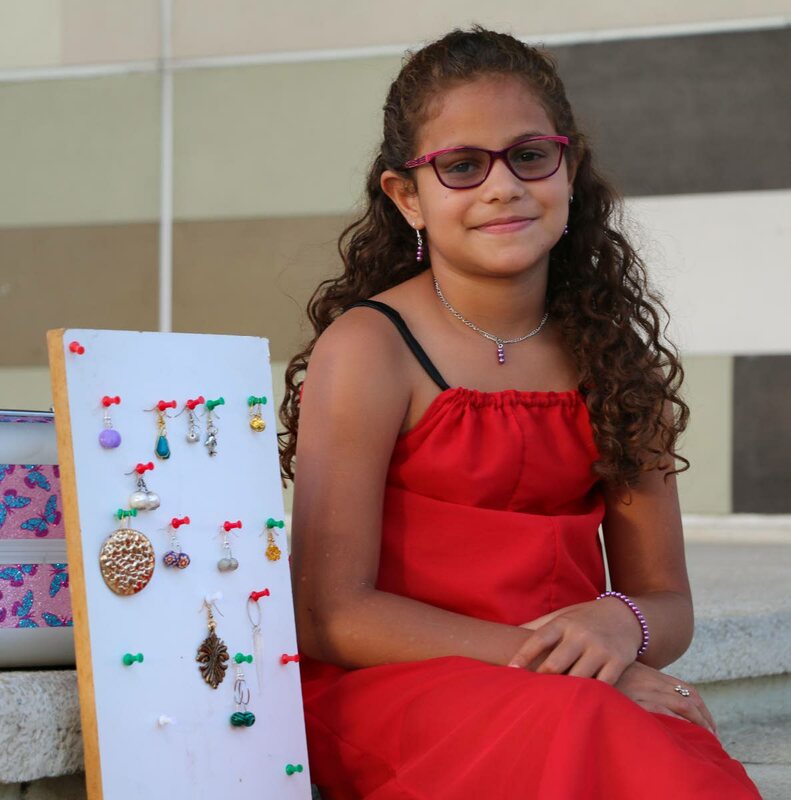 Jessie-Leigh's enterprise: Eight-year-old Jessie-Leigh Roberts-Riley displays the jewellery she made from pieces of old Carnival costumes and new materials. Even as her business grows, Jessie-Leigh also wants to be a track and field athlete. Jessie-Leigh Roberts-Riley is smart about money. 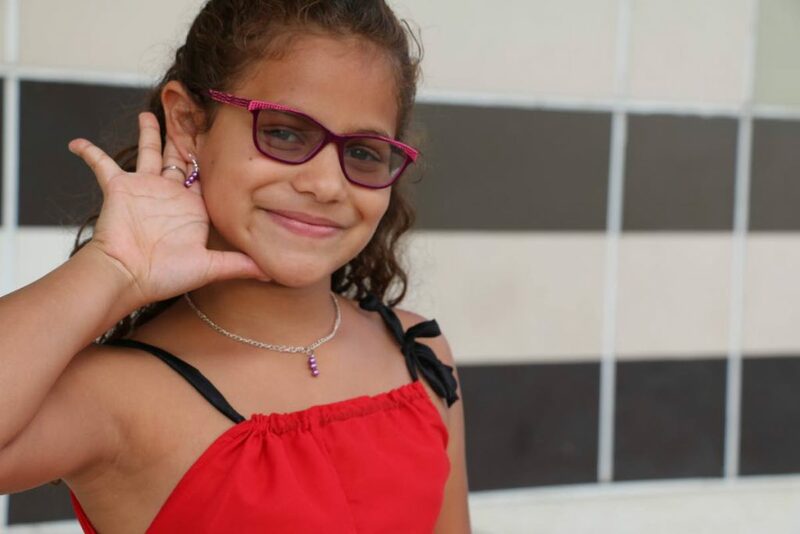 The eight-year-old, from Aranguez, has learned there is no such thing as “free money,” and since age four has found creative ways to earn cash. Her latest project is creating jewellery out of recycled Carnival costumes. How did the idea to create jewellery out of costumes come about? 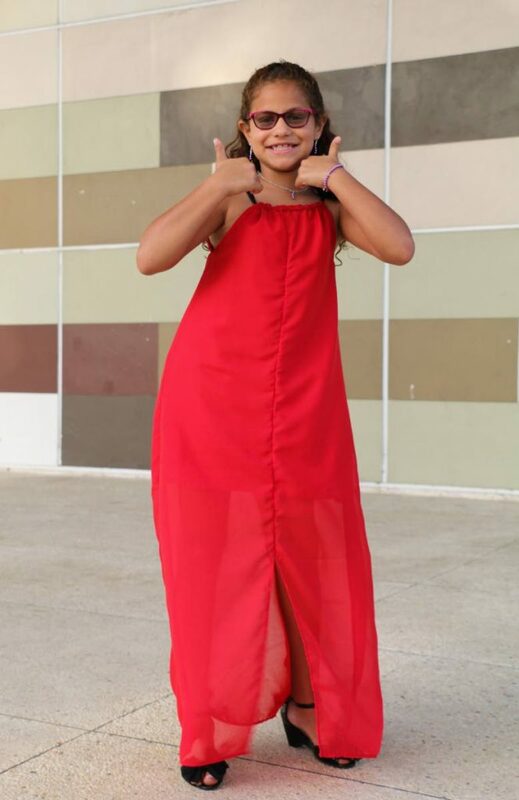 “Last year my mom hosted her Easter sports camp, Just Be Active Academy, in the Socadrome and there were broken pieces of Carnival costumes in the drains and on the floor which looked so pretty. My mom would have a hard time getting us to focus on sports,” Jessie-Leigh tells Newsday Kids. Making jewellery: Using small pliers, Jessie-Leigh Roberts-Riley makes a piece of jewellery. Her mother Marsha Riley saw the girls’ interest in the broken costumes and decided to have a treasure hunt, where her students would retrieve the pieces they liked. It wasn’t long after that Jessie-Leigh began cleaning the pieces at home, removing the hooks from her mother’s earrings and making jewellery out of the costumes. It takes her roughly half an hour to create 21 pairs of earrings. Jessie-Leigh enjoys creating earrings, pendants, chains, sometimes doing matching chain and earring sets. Her mother advertised her jewellery on Facebook where people placed orders. When Jessie-Leigh ran out of costumes pieces her mother bought her supplies so she could continue creating jewellery until another Carnival came around. Proud to be me: Jessie-Leigh Roberts-Riley is proud of her jewllery-making business. She also wants to be a track and field athlete. Jessie-Leigh’s creativity has attracted a lot of attention, as people via social media contact her mother to donate their broken jewellery to her cause. Her first business venture was baking muffins four years ago. She, with her mother’s help, raised $2,000 by selling them at Queen’s Park Savannah and Westmoorings. She also has two turtles and a hamster and often goes to the Emperor Valley Zoo where she once received a chain with a crocodile tooth from staff for helping feed some of the animals. Jessie-Leigh is home-schooled by her mother and they are members of the Home Schooling Association, a support group for parents who teach their children at home. She is in Grade Two and enjoys mathematics because she likes numbers and doing addition. She also takes part in track and field with Burnleys at Eddie Hart Savannah, Tacarigua, horseback riding at Police Mounted Branch, St James and does dance ministry at Faith Centre, Port of Spain. Athleticism runs in her family as her father, Jonathan Roberts, is a professional hockey player and her mother was on the national hockey team and is involved in track and field. One of Jessie-Leigh’s goal is to represent TT at the Olympics in track and field. She has met 2012 Olympic gold medal champion and 2016 bronze medallist Keshorn Walcott who has trained with her mother. She already has an investment plan to tie her track career to her love for people and animals. Reply to "Smart about money"